Featuring rooms with a spa bath and free Wi-Fi, Silver Fern Rotorua is just 1 kilometre from Rotorua Golf Club. It features a hot tub and a day spa. Free parking is available on site. 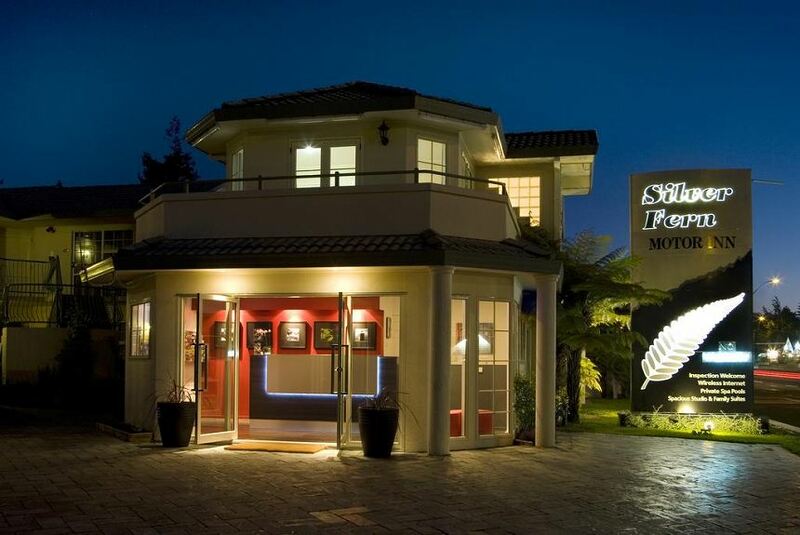 Silver Fern Rotorua - Accommodation & Spa is 10 minutes’ drive from the famous Polynesian Spa and Mitai Maori Village. Rotorua Airport is a 15-minute drive away. All rooms have a kitchenette or kitchen with a microwave and refrigerator. Each modern room includes cable TV, a DVD player and electric blankets. Some rooms have access to a shared balcony. Guests can relax on the sunny terrace, or enjoy a meal in the barbecue area. The property also offers free bicycle rental, free DVD rental and a tour desk.